The Women’s Forum of New York will present the inaugural Elly Awards Luncheon benefitting The Education Fund of The Women’s Forum on Wednesday, June 15, at The Plaza Hotel in New York City. The awards, named for The Women’s Forum founder Elinor Guggenheimer, will honor outstanding women leaders. Diana Taylor, Managing Director of Wolfensohn Fund Management, LP to be presented by Lisa Caputo. 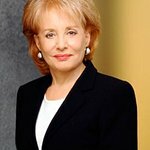 Barbara Walters, nine-time Emmy Award winning journalist and television legend, will conduct a joint interview with the honorees preceding the presentation of the awards. The Elly Awards will begin at 11:30 a.m. with a reception & VIP arrivals. The Luncheon and Presentation will be from 12:15 to 2:00 p.m. The Women’s Forum of New York advances women’s leadership by connecting preeminent women of significant achievement in diverse industries to enrich each other’s lives personally and professionally and take active roles in matters of importance to them. The organization focuses on leadership with successful women and its mission is to foster leadership in other women throughout the world through shared talent, experience and influence. Comprised of approximately 450 women representing the highest level of achievement in virtually every business and professional sector from finance to fine arts, membership in the Forum is limited and by invitation only. Founded in 1974 by Elinor Guggenheimer, The Women’s Forum of New York captured a powerful idea right for the times – that women could foster leadership in other women through sharing ideas, influence and experiences. The enduring power of that idea has led the New York organization to inspire Women’s Forums in major cities throughout the United States and internationally. Today the Women’s Forum of New York is the flagship of the International Women’s Forum organization comprised of 64 affiliates with over 4000 members around the world and operational headquarters in Washington, DC. The Women’s Forum of New York promotes leadership through its core program activities for members, through The Education Fund which helps high potential women over 35 who have overcome adversity to continue their education and pursue careers and through the CEO Council which targets extending the leadership contribution of women through corporate board participation. The Education Fund is an educational and charitable arm of The Women’s Forum of New York, established under a separate corporate governance as a 501©3 tax deductible organization. Since 1987, the Fund has helped mature women pursue educational goals and enhance their capacities to provide productive and supportive service to their communities. The Award recognizes extraordinary and often heroic effort in overcoming adversity and the most daunting of odds in restructuring lives for success. Grants are awarded to women over the age of 35 who, after suffering great adversity and an interruption in their education, are now pursuing undergraduate college degrees. Students in this population are often single parents, economically disadvantaged and struggling with the rising costs of a college education. Over the past 23 years, over 120 women have been honored by The Education Fund.